The European Commission’s Prospectus Regulation proposal, published in December 2015, included at Article 3, an increase in the Prospectus exemption threshold set by Member States from €5 million to €10 million but limited such fundraising to ‘domestic offers’. The crowdfunding sector support the increase of the exemption threshold given the growing size of crowdfunding rounds. However, stakeholders strongly believe that any kind of ‘domestic offer’ requirement could be contrary to the aims of Capital Markets Union with its focus on cross-border investment. It is also unclear how a ‘Domestic offer’ is defined, given the digital nature of most crowdfunding platforms which operate via the Internet across the EU. The industry associations produced a position paper (here) proposing the removal of the ‘domestic offer’ requirement from the Article 3 exemption and greater clarity that companies raising finance are only subject to the Prospectus requirements (or exemptions) of their own EU Member State. Our position paper has been well received by the European Commission, Parliament and Finance Ministries around Europe. 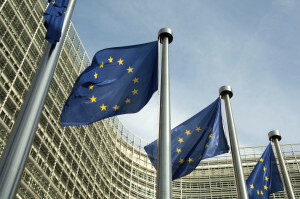 The European Parliament’s draft amendment to the Regulation recognises the input from the crowdfunding sector and has removed the ‘domestic offer’ limitation while increasing the exemption set by Member States to €20m. The crowdfunding industry welcomes the Parliament draft and is now calling on the European Council to adopt a similar position. It would also be helpful to clarify that where a fundraising company is exempt from producing a Prospectus under its own country’s laws, that a lower Prospectus threshold in another EU member state will not apply to cross-border investment. The crowdfunding sector especially welcomes the proposed simplified SME prospectus, which should reduce costs and make information easier to understand for retail investors.